I once posted a blog entitled “Give Them What They Want” in which I succumbed to the popular interest in all things cute by posting some incredibly cute pictures of my son’s Min Pin, Enzo. I was reluctant to do so because I do not personally believe that just being cute is enough to inspire, amuse or entertain me or anyone else. Cute is overrated. I feel the same way about all of those trite feel good quotes and canned inspirational statements that are plastered all over Facebook and other social network sites and which pass for meaningful observations on life. They have no validity when it comes to defining what life is all about and it is just as ridiculous to be inspired by them as it would be to rely on a fortune cookie to give you a meaningful look at your future. They are both just superficial fluff that offer nothing of substance to your spirit or your mind. I suppose there is no wonder that these things are so popular since we have reduced all of our information and thoughts into short sound bites so why not find our inspiration in the same way. Real thoughts and true depth of feelings have given way in our fast paced and shallow culture to trite statements of wisdom and inspiration that are simply contrived messages designed to trigger a superficial feeling of well-being. Life is far too sublime and your spirit much too lofty to be reduced to a few insipid words of fluff just as your future is too mysterious to be described in a fortune cookie. I believe that our minds are too intelligent to be swayed by cute just as I believe our spirits are too expansive to be satisfied by the vapid purveyors of pre-packaged feel good words of inspiration. We should understand that the real worth of the world and of our place in that world cannot be summed up in a few words of fluff. You deserve better than that. On Monday, Joe says goodbye. I have mentioned that we are a very competitive family and that sports have been a big part of our family activities in “Sports Are A Reflection Of Life”; however, I failed to mention that the game we played the most often together as a family and with great competitive spirit was golf. I don’t mean the version where the players must negotiate vast tracks of well manicured grass at exclusive country clubs. I mean that much more intricate game of miniature golf that is played with great finesse as well as fine tuned eye hand coordination and motor skills. 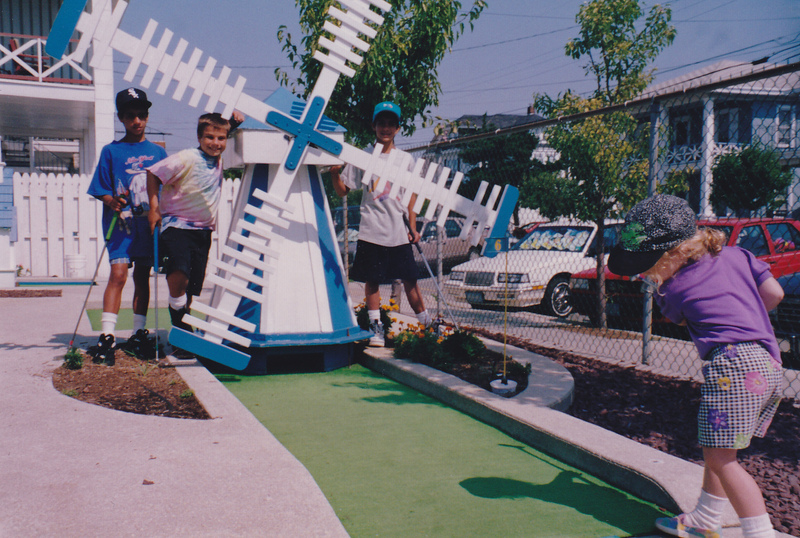 In miniature golf you have more to contend with than some sand or a pond; you have to deal with such things as windmills, dragons and sliding trap doors as you traverse the booby trapped course. 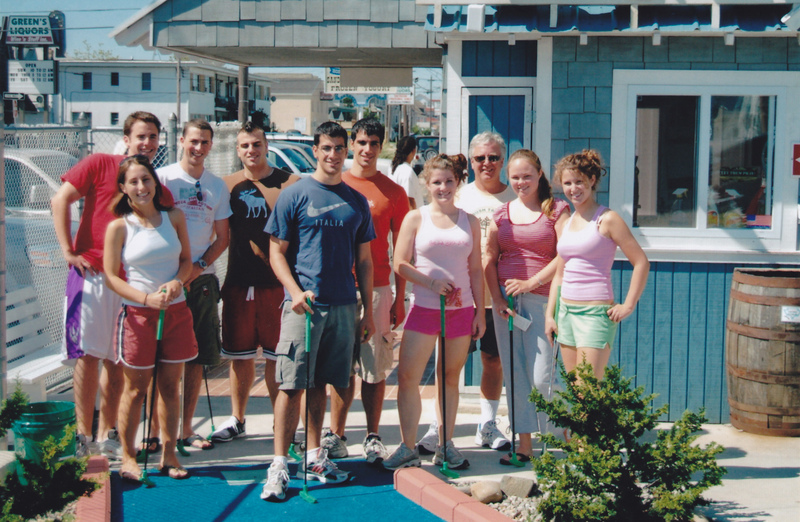 Miniature golf became a big part of our Jersey Shore vacation experience and from the beginning we would find the time to play almost every day. When my children were very young, I would patiently teach them the finer points of the game and as they got better the competition became more intense. As they were learning the game, I would give each child a handicap based on their age and level of skill in order to keep the matches fair and competitive; however, even the handicap became a bone of contention. As my children got older, they would invariably complain about the size of someone else’s handicap if that player was playing better than expected. The handicaps have long since become unnecessary and, eventually, as the students became the teachers and could, on any given day, beat me, the matches became especially competitive with the gauntlet being thrown down at the beginning of every match. Annemarie decided early on that she would rather be the official and impartial score keeper than be part of this competition. 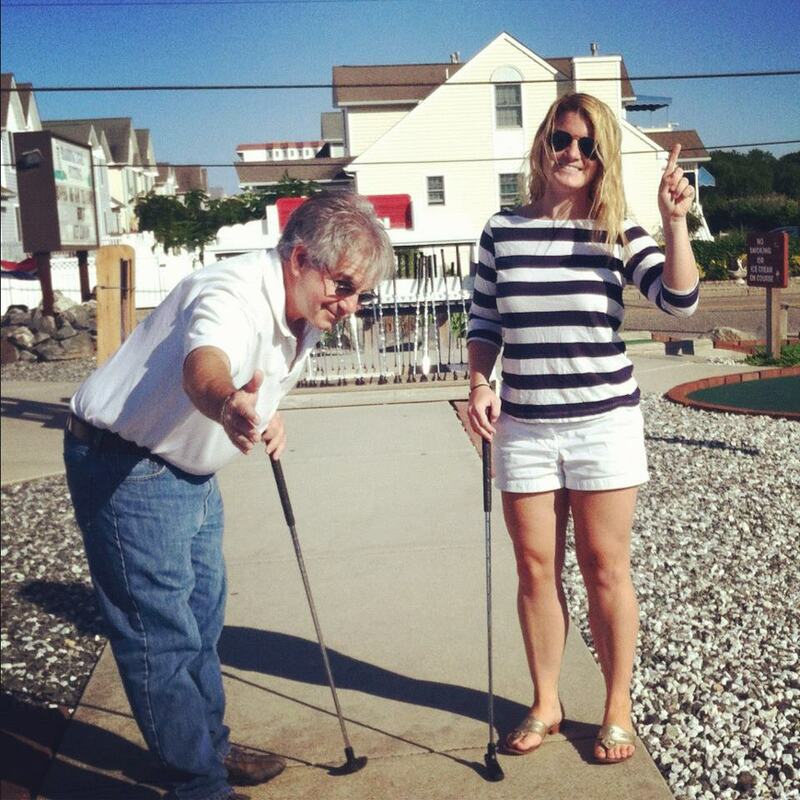 We have had many guest players join us on our family miniature golf matches and we always welcome friends and extended family to join in the fun. 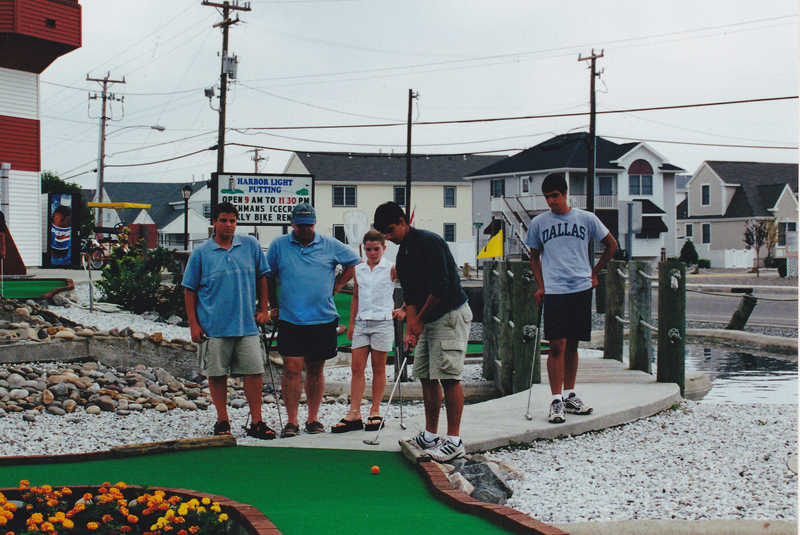 Many of these guest players have been very good and, on occasion, even win the match; however, at its heart, every match is still about the family competition that is miniature golf with the Cardamones. On Monday, Joe begins his two part story about his personal experience with identity theft in ”Who Would Want To Be Me? (The Beginning)”. There are times in everyone’s life when you come to the proverbial fork in the road that requires you to make a choice and, sometimes, the direction you take comes to you by chance through a random series of events. One of the most meaningful changes in my life came as a result of one of those completely unplanned and unexpected events. Before I get to the heart of the matter, a little background information is in order. Despite the fact that no one in my family had ever gone to college, my mother always impressed on me the importance of an education and it was a given as far as she was concerned that I would go to college. As I mentioned in “Simple Lessons”, my mother did go to a “business school” for a year; however, it really was a trade school to learn secretarial and clerical skills so she was not able to give me any practical advice when it came time for me to choose a college. My high school guidance counselor recommended that I go to the newly expanded campus of a local state university that only a few years earlier had been a small teachers college and lacking any other information I took his advice. I was unhappy at this local school for many reasons all of which came down to the feeling I had that this was somehow not the college experience I wanted. 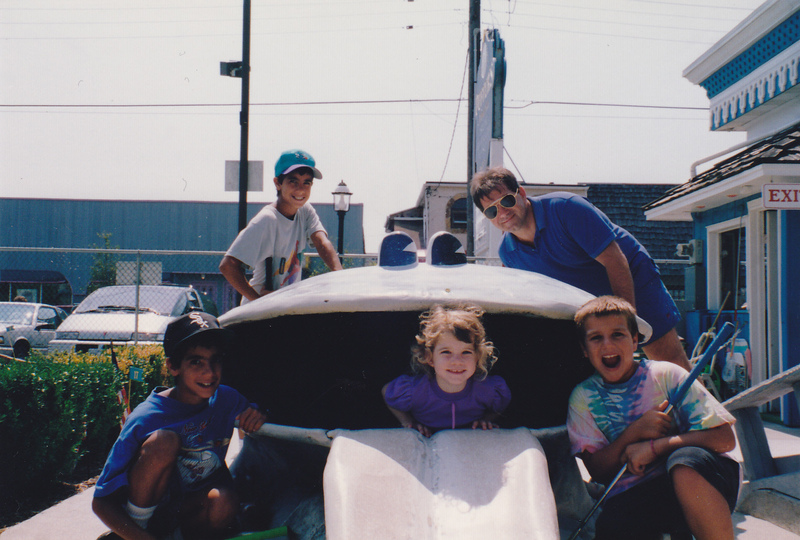 It felt ordinary and bland, it was lackluster and uninspiring and it was close to home. I felt that I wanted more. Then the fork in the road came by chance. One Saturday morning during my first spring semester, a fellow student that I barely knew told me that he was driving to Syracuse to see his girlfriend and would I like to go along for the ride. Looking for any excuse to get away, I agreed to go with him without asking many questions nor was there much information given before or during the drive. As we approached Syracuse, I was informed that his girlfriend lived with her parents and would I mind if he dropped me off at Syracuse University and pick me up on Sunday as he was sure that I could find a place to “crash” on the campus. I was surprised but not all that upset since I was curious to see the campus. I remembered that Carl, a high school acquaintance, had once mentioned that he was going to Syracuse University. I went to the Student Center and inquired about Carl who was, in fact, a student and I was able to find his dorm room. He was not at his dorm but his roommate told me that he was working at the Sigma Chi Fraternity so I went there to find him. He was busy working in the kitchen and told me it would be alright for me to wait for him in the game room of the fraternity. As I was waiting, I struck up a conversation with some of the fraternity brothers and before long they were inviting me to not only go out drinking with them that evening but also invited me to stay at the fraternity house. I had a great weekend which proved to be a turning point for me. By the end of that weekend, I knew that Syracuse University was the place for me and would give me the college experience I was looking for and not finding at my local school. I was able to get into Syracuse University the following fall as a transfer student and soon was invited to be a pledge and, eventually, a brother of the Psi Psi Chapter of Sigma Chi. For me, being at Syracuse was an awakening and opened a whole new world of experiences that, in many ways, changed my life. I met and interacted with people from all over the world, from many walks of life and from every socio-economic level far beyond anything I would ever have experienced in the provincial confines of my home town. Little did I know that years in the future all of my children would also graduate from Syracuse University and that I would have a life long relationship with the University. Planning and paying attention to details aside, sometimes, the best choices you can make come upon you by chance. The unexpected fork in the road may present some risk but taking that risk can lead to wonderful changes in your life.